Looking for a Greenwood Roofing Company? When you need to protect the most valuable investment you own, a good roof that doesn’t leak makes all the difference in the world. Your roof can provide energy conservation, or be a drain on your pocketbook. It can make your home look old and haggard, or bright and shiny. It can dress up your home, or be a source of headaches. Colosseum Construction is a reputable roofing company serving the Indianapolis area and surrounding counties. Whether you need asphalt shingles, slate, cedar, metal, or flat roofing, Colosseum Construction roofing services can do it all. Our crews are friendly, and do their job quickly and efficiently. You’ll like doing business with us. We are licensed and bonded contractor with the City of Indianapolis and are a Preferred Contractor with Owens Corning. Asphalt – Colosseum Construction has a wide range of asphalt shingle products, which look like slate, cedar shakes,classic dimensional shingles,as well as the traditional popular strip shingles. All shingles include warranties that range from 20 years to lifetime. Asphalt manufacturers estimate that 80% of homes in America have asphalt shingles. 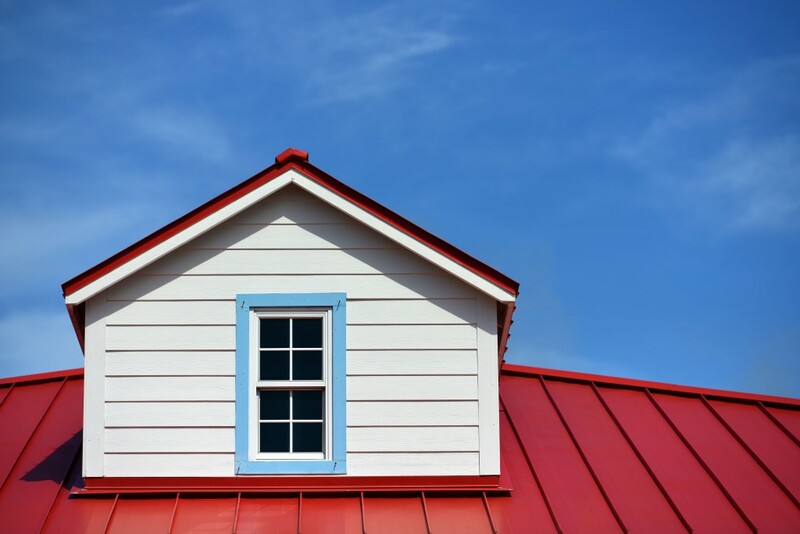 A roof covers approximately 40% of the average home’s exterior. Appearance,resilience and durability are key factors to consider when choosing an Asphalt. Asphalt with fiberglass also increases fire and wind resistance with insulating benefits. 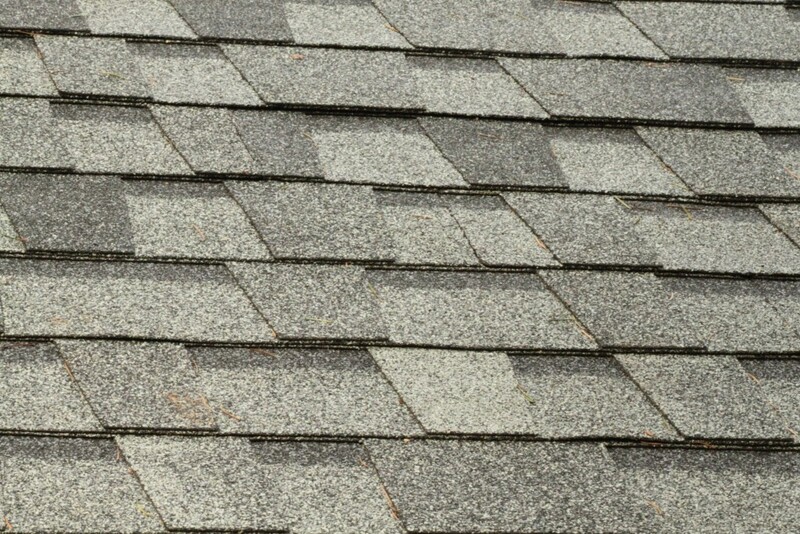 These shingles are economical,weigh less, are simple to install and maintain. Colosseum has a relationship with Owens Corning and GAF, as well as other manufacturers. We are an Owens Corning preferred contractor in Indiana. 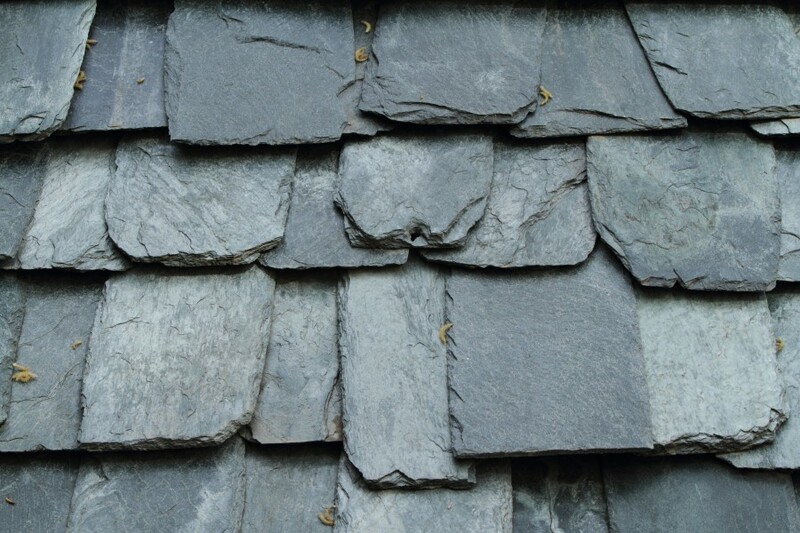 Slate is a traditional roof found in some homes in Indiana. It is more prevalent in older neighborhoods in Indianapolis. Slate is rock that has been quarried out of the ground,and in many cases will last longer than your house. Natural roofing slate has been around for more than a thousand years and is still a choice for many magnificent buildings built today. When it comes to roofing,nothing approaches the magnificence of natural slate. Created by the forces of nature over 500 million years ago, slate exudes tradition,majesty,and character. Natural slate is at the top of the list of leading architectural design firms around the country. Slate has a beautiful, natural appearance and is considered by many as one of the finest choices you can make. The lifetime of a slate roof makes it one of the most economical roofs, because you can divide your costs over a longer time frame. 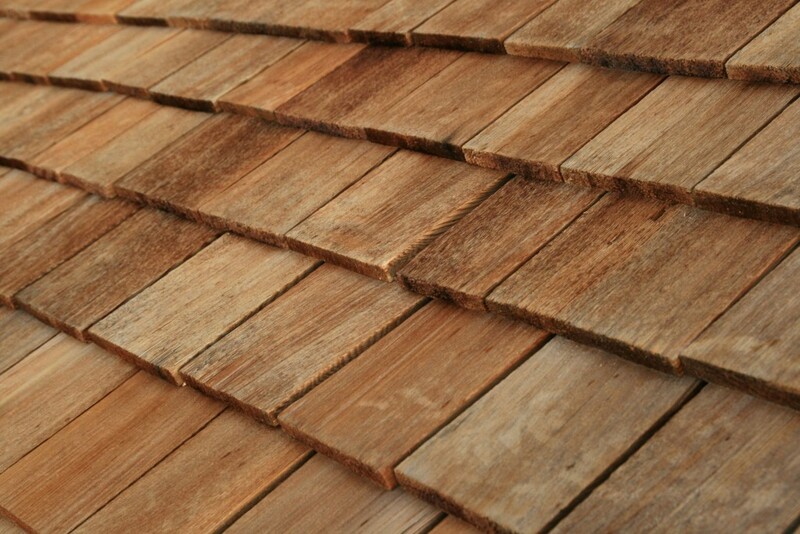 Cedar shakes are one of the more traditional roof shingles available and, aesthetically one of the most beautiful. They are a natural product with high insulation value. They remain cool so they don’t heat up your house. Wood is the only naturally produced, renewable structural material. It requires the least amount of energy to manufacture and has the lowest impact on air and water quality. It is a roofing material of choice by many leading architectural firms. Colosseum Construction holds to high standards to ensure proper cedar shake roof installations. Metal roofs are growing in popularity and a whole new array of metal roofing materials have recently become available. Metal roofs are a little more expensive than others, but they last a very long time. People like the looks of metal. Many metal roofs are considered “Cool” roofing products, since they don’t absorb heat like other roofing products. They mainly absorb at a lower rate. They have a very long life span. Metal roofs are a great choice for residential homeowners and commercial building owners alike. Their primary benefit is their aesthetic beauty and long life. They are a high tech answer to the need for durable,fire-resistant, lightweight roofing that looks at home on a house, while effectively reflecting heat from the sun. Colosseum Construction has experience with metal. Contact Our Greenwood Roofing Company Today! Please browse our portfolio of pictures for some of our metal roof installations. Colosseum Construction can install almost any type of metal roof you might want. Contact our Greenwood Roofing Company today for any questions you may have.